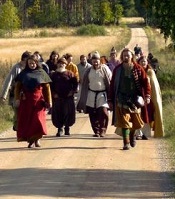 Welcome to the Viking village of Årsjögård! 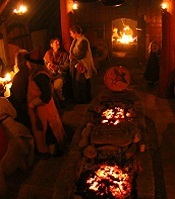 Travel more than 1,000 years back in time to meet vikings who will tell you about their life at the farm. 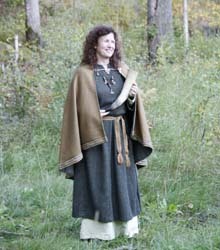 Here you will find several houses such as a smithy, a cooking house and the magnificent longhouse, plus runestones, a sacrificial place and a Thing place. 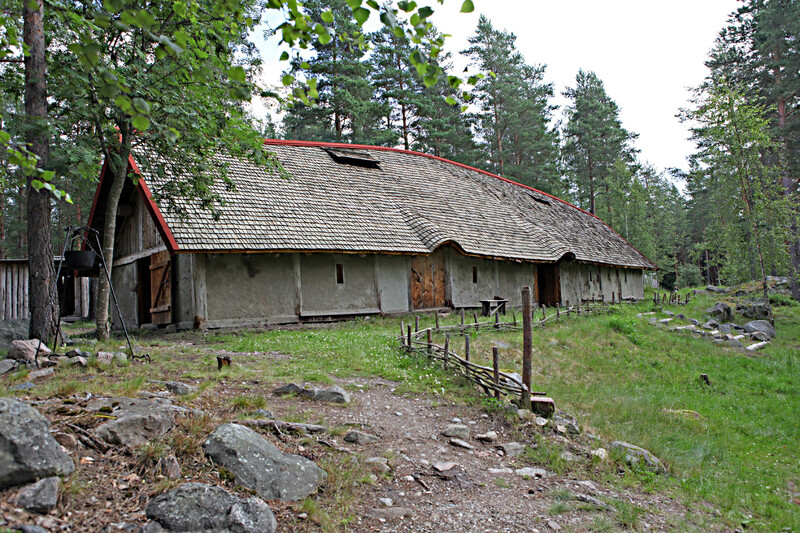 The longhouse, consisting of a residence and a hall, is the pride of Årsjögård. In the residence there is room for about 20 adults/25 children to spend the night, the hall has room for another 10-15. The longhouse has a beautiful roof consisting of ca 20,000 shingles. The walls are a plaited work of whicker covered with a mixture of sand, mud and cow dung. 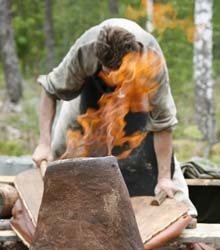 It´s 4-5 inches thick and keeps the house warm in the Winter and cool in the Summer. 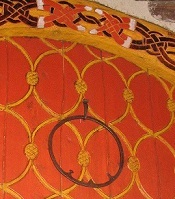 The hall holds about 60 people and is decorated with beautiful woodcarvings and tapestries.